Mosquitoes may be interesting on a scientific level, but these little blood-suckers are, quite understandably, despised by most human beings. Their seemingly incessant attacks are enough to make you scream in frustration, while unsightly and itch-inducing bites stay with you for days. As if that wasn’t enough, these bites can also carry potentially life-threatening diseases. Some Peruvians, especially those who are accustomed to the presence of mosquitoes, have an amazing capacity to live with these tiny terrors (but the risk of disease is just as real). For many tourists, however, a twilight stroll along a Peruvian riverbank is the insect-world equivalent of waving a red rag at a bull. The good news is that you won’t be plagued by mosquitoes throughout Peru. In fact, most of your trip will probably be surprisingly bug-free. But when you do step foot into the danger-zone, it pays to be prepared. Use mosquito repellents -- Repellents remain one of the most effective defenses against mosquitoes. In certain parts of Peru, especially the jungle, it’s a case of “never leave home without it.” If you’re wondering which repellent to use, take a look at the Centers for Disease Control’s recommended insect repellents page. Wear the correct clothing -- Even if you travel light, throw some long-sleeved shirts and full-length pants into your pack. You’ll need them in the chilly highlands; you’ll also need them when mosquitoes are on the prowl. Covering up as much bare skin as possible is a great defense against mosquito bites (loose-fitting clothes are good, but don’t forget to tuck your shirt in). Hats are also handy -- and shoes are better than open-toed sandals. You can spay clothing-friendly repellents onto your clothes for added protection. Use a mosquito net -- If your hotel, lodge, or hostel has a mosquito net, use it. If it’s there, it’s there for a reason. If you expect to spend a lot of time in areas where mosquitoes could be a problem, consider taking your own net. Nets treated with a pyrethroid insecticide (such as permethrin) offer the best protection. Avoid peak mosquito hours -- Mosquitoes can bite at any time of the day, but there are peak biting periods. In many cases, this will be at dawn and at dusk. If that’s not the case, you’ll soon figure out when the biting is at its worse, allowing you to avoid those periods the following day. Use a mosquito coil -- Spatial repellents, such as mosquito coils, are useful for clearing rooms of unwanted blood-suckers. In general, however, they should be used in conjunction with body-based repellents or nets, rather than in place of. Stay clean (but not too fragrant?) -- Human body odor may play a role in attracting mosquitoes, perhaps explaining why some people remain relatively unscathed while their companions are bitten relentlessly. In 2011, a research team from Wageningen University in the Netherlands found that “individuals with a higher abundance but lower diversity of bacteria on their skin” were more attractive to a certain type of mosquito. Conversely, the fragrant smells of shampoos, body lotions, and soaps are often said to attract mosquitoes. There is little evidence, however, to support this fragrant theory. By following the guidelines above, you should be able to minimize the number of mosquito bites you receive and protect yourself against potentially serious diseases. Finally, it’s a good idea to follow the latest news in Peru. 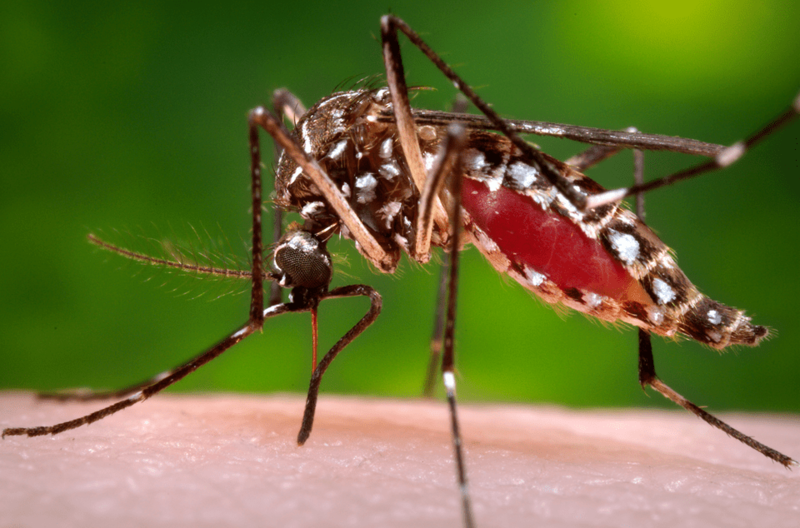 Outbreaks of mosquito-borne diseases, such as dengue and malaria, do occur. If you keep up-to-date with one or more Peru-based news resources, you’ll know what areas to avoid in the event of an outbreak.